Instead of letting leftover steamed rice dry up and go to waste, convert them into a sweet, creamy dessert. 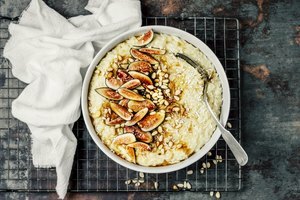 Rice pudding recipes usually call for sugar, but using agave nectar as a sweetener makes the rice pudding a low-glycemic index food suitable for diabetics or anyone watching their sugar intake. 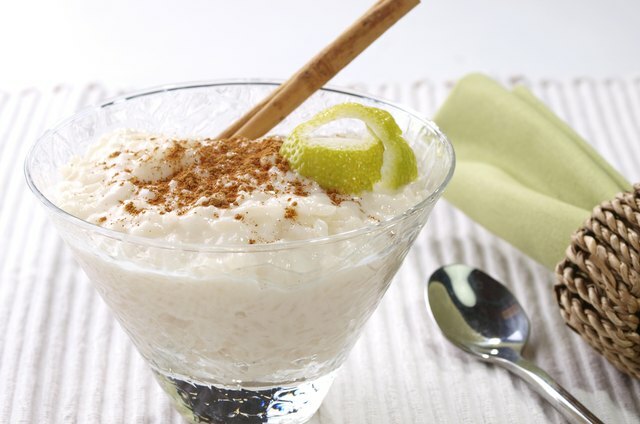 Use cow's milk or substitutes such as almond, soy or coconut milk to give rice pudding its signature creaminess. Combine the cooked rice and milk in a saucepan over medium-high heat. Bring the mixture to a boil and reduce the heat to simmer. Stir in the agave nectar syrup and vanilla extract. Taste the mixture to test the sweetness, and add more agave syrup to taste, if you like. Stir in the cinnamon and optional nutmeg. Taste the mixture and add more spices to taste, if desired. Simmer the pudding, uncovered, for about 10 minutes or until the liquid is reduced by half. Stir in fruit, if you like. Raisins are most common in rice pudding, but you might also try dried cranberries, pumpkin puree, chopped apples, applesauce or fresh blueberries. Simmer for another 15 to 20 minutes or until the liquid is absorbed and the rice is the consistency of pudding. Agave nectar syrup is much sweeter than an equal amount of sugar, so add the syrup sparingly. 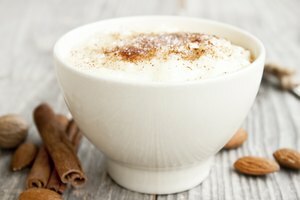 If the finished rice pudding doesn't taste sweet enough, garnish it with additional agave nectar syrup. As an alternative, substitute equal parts honey for agave syrup. If you're starting the pudding with uncooked rice, add the cooking time to the total recipe time. 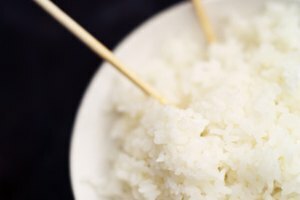 White rice takes about 25 minutes to cook, while brown rice takes approximately 45 minutes. 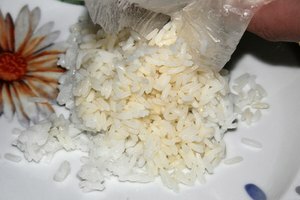 Dehydrated parboiled rice drastically reduces the total cooking time.